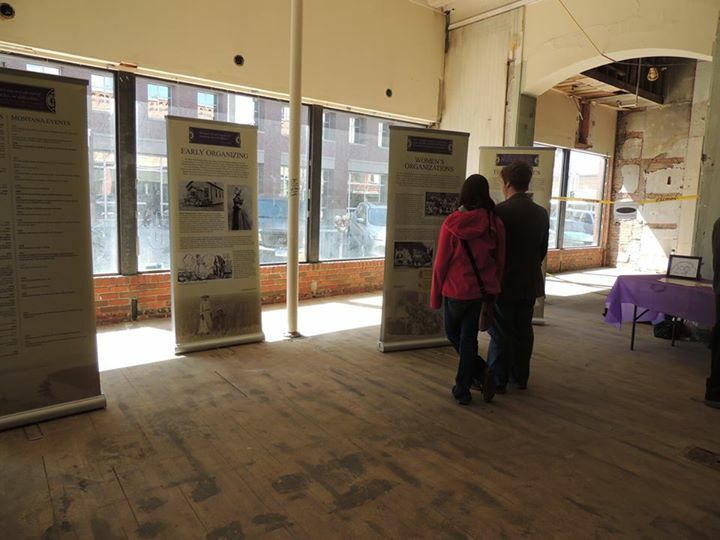 Missoula residents enjoyed visiting the exhibit while on display at the Missoula Mercantile building in April 2014. Photo courtesy of Kayla Blackman. To schedule the exhibit for your library, contact Jo Flick, Statewide Training and Development Specialist, Montana State Library, 406-431-1081 or jflick@mt.gov. If you are a museum, please contact your local library to cooperatively schedule an exhibit showing for your town. This video features Julie Edwards, a Librarian at the University of Montana, as she explains how the exhibit came to be. She also showcases the content of the exhibit and directs libraries towards the resources they need for hosting the exhibit themselves. Leading the Way: Montana Woman Suffrage and the Struggle for Equal Citizenship from MSL Trainer on Vimeo. This exhibit was developed with financial assistance from Humanities Montana, the American Association of University Women-Missoula, and the University of Montana’s African-American Studies Program, the University of Montana History Department, the Maureen and Mike Mansfield Library, and the University of Montana’s Women’s, Gender, and Sexuality Studies Program. 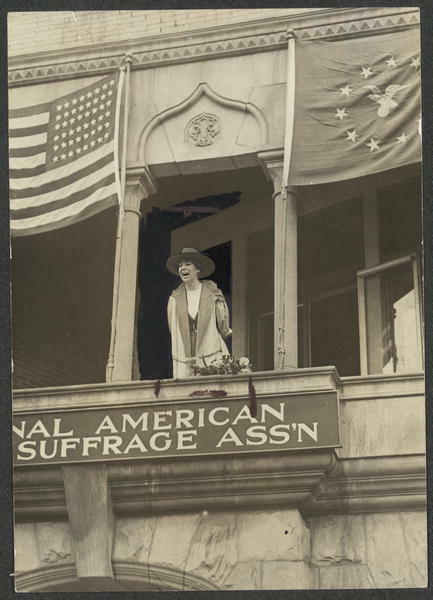 Miss Jeannette Rankin, of Montana, speaking from the balcony of the National American Woman Suffrage Association, Monday, April 2, 1917. Women of Protest: Photographs from the Records of the National Woman’s Party, Manuscript Division, Library of Congress, Washington, D.C.